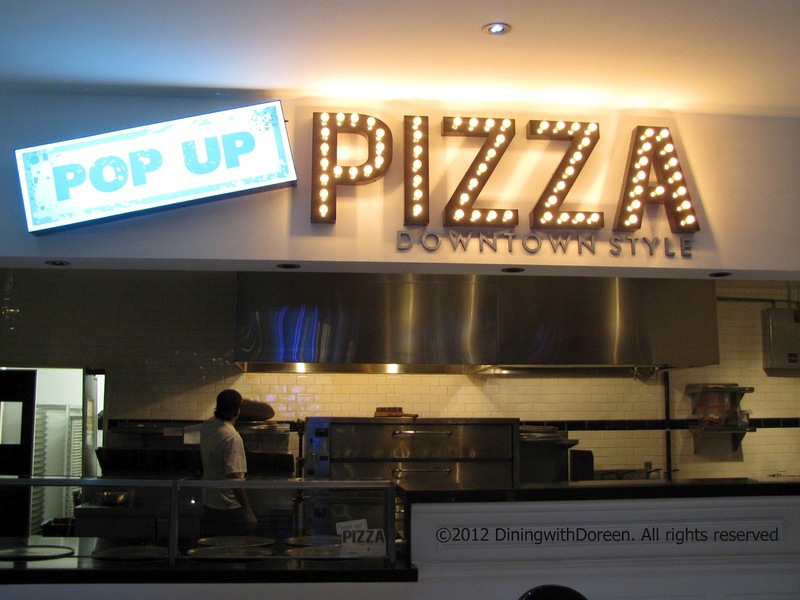 POP UP PIZZA AT THE PLAZA!! Here in Downtown Las Vegas. I think I have a love affair with pizza and I try my hardest not to eat it every day or even every week...but it's so hard to resist. But I am so excited to share a new pizzeria with you guys! It's called Pop Up Pizza and I had a chance to talk with Chef Mike Vakneen about his labor of love and check out what we talked about! Check out this cool picture of the dough after it's proofed. 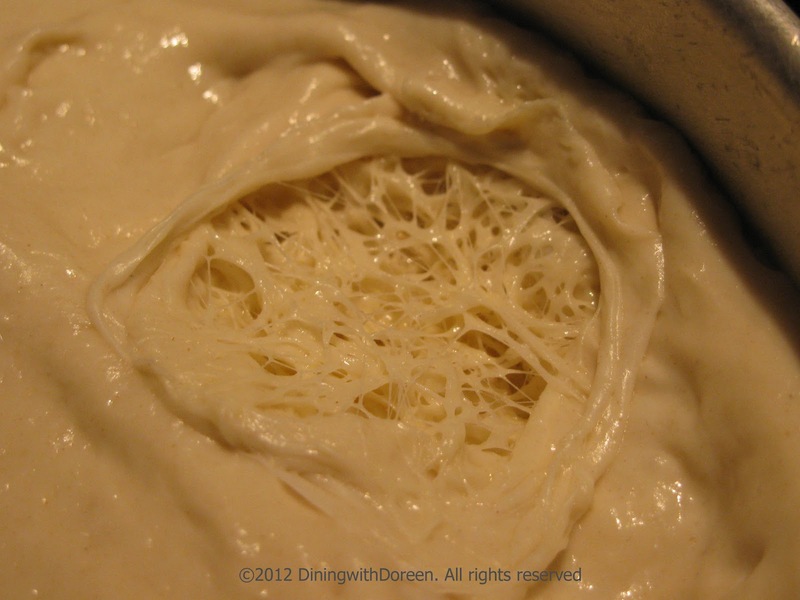 The network of dough "strings" is created during the proofing process. The network of dough is what gives it its chewiness and doughy goodness! Besides the White Chapel being my favorite, I also like to do a variation on the White Chapel and add sausage to it! Sooooo good!!! You gotta try it. I love the drizzle of garlic oil, so fragrant and it just blends so well with the ricotta. Speaking of ricotta...I think I may ask for extra ricotta on my pie next time!! I can't get enough of that creamy soft cheese! Another fave...The Fremont!!!! Even though you guys know I am NOT a bell pepper lover...this pizza is awesome! Great flavor and really hits the spot! And seriously...I was very impressed with the Vegan pizza!! I already told one of my besties, Alison about it, because she's been introducing me to more Vegan restaurants and I'm really enjoying them! Really! Anyhow...I can't wait for her to try it and give me her opinion. Next time I'm going to get some of those massive onion rings and I'd like to try the Vegan soft serve...because you all know I'm an ice cream fanatic...I would like to give it a try and see how it stands up to one of my all time favorite dairy desserts. Many thanks to Mike Vakneen and the entire gang at Pop Up Pizza for opening your doors to us and letting us partake of the deliciousness!! 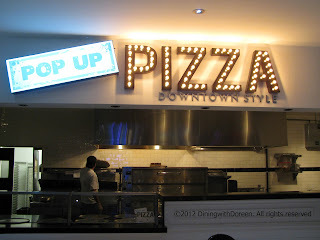 Head over to Downtown Las Vegas and pick up your own slice or pie! If you ordered a whole pie, would he be willing to veganize something like say, The Goodman? I love potatoes on pizza! It's one of the best things ever!